Located in Boise, Idaho, the World Center for Birds of Prey aims to restore rare species of birds through captive breeding and release, while aiming to improve local capacity for conservation, conduct scientific research and education, as well as converse habitats to preserve biodiversity. The Center offers live bird displays and a variety of both indoor and outdoor exhibits to explore. The World Center for Birds of Prey is funded through the Peregrine Fund which was founded in 1970 to restore and eventually release new Peregrine Falcons. The endeavor was hugely successful and the Peregrine Falcon was officially removed from the U.S. Endangered Species List in 1999. This encouraged the organization to expand and eventually apply its conservation efforts to more than 100 different species in 65 countries worldwide. The Center now has a variety of hands-on exhibitions and educational displays as well as live bird shows. Staff members are currently working on restoring the populations of more than 10 bird species including the California Condor and the Madagascar Raptor. There are a variety of different exhibitions and attractions for visitors to explore at the Velma Morrison Interpretive Center, with live bird shows and tours occurring daily. Birds of prey are more commonly known as “raptors” and those who work to conserve raptors and their habitats are referred to as “falconers”. The World Center for Birds of Prey is one of the most respected conservation and restoration center in the world. Visitors are sure to witness extraordinary live shows and even wild falcons in their natural habitat. There are plenty of attractions for visitors to explore, including areas specifically designed for children and those who wish to pursue a career in wildlife preservation. Discovery Room: This attraction is meant to engage the younger visitors with hands-on exhibits, games, and attractions. They can play with eggs, feathers, puzzles and even dress up as their favorite species. Wild Raptors: This attraction is home to wild birds of prey which can be seem along a ¼ mile winding trail overlooking Boise. Hikers are sure to witness the breath-taking glory of these wild raports. Condor Cliffs: This habitat was inspired by the one and only Grand Canyon and is home to the Center’s very-own released California Condors. This area is home to the worlds’ largest flock and breeding area as well. Indoor Exhibits: These exhibits feature all information one can imagine regarding the various birds of prey; inducing their habitats, diets, breeding habits, why they are endangered and how to help restore their populations. Many of the exhibits are interactive and can be enjoyed by visitors of all ages. The Archives of Falconry: This is the most comprehensive falconry library in the world. It includes all substantial media, arts, equipment, memorabilia, and even filed notes regarding the sport of falconry. A main priority of the archives is to collect and preserve as much falconry-related materials as possible. 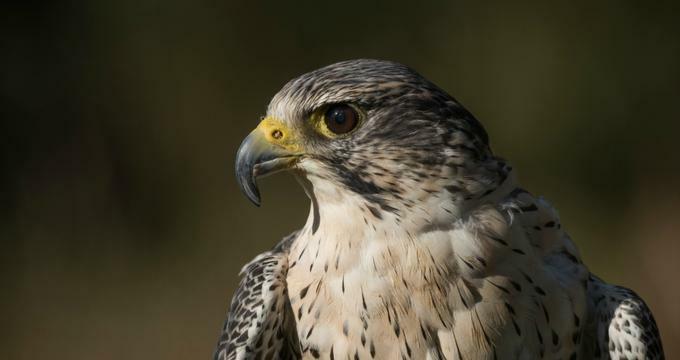 Sheikh Zayed Arab Falconry Heritage Wing: This wing features an interactive display where visitors can truly experience the falconer’s role in the conservation process of birds of prey. In 2007, this wing received the Wall of Remembrance, a wall dedicated to falconers past and the important work they’ve done. Alongside this wall is the Book of Remembrance, where the stories and photographs of these falconers are told in great detail and celebration. During the Annual Spring Rendezvous, Falconers from and wide, both new and old, can truly bask in the glory of their sport, celebrate their conservation efforts, and educate each other on the future of falconry. Educational tours include a visit to all on-site exhibits (Biology/Ecology Wing, Conservation Wing, and the Discovery Room) as well as an up-close-and-personal meeting with some of the resident educational birds. Tours can be scheduled for groups of 15 or more people and last approximately 90 minutes. School groups and educational programs are specifically designed to meet curricular objectives and emphasis participation. All age groups are welcome and even college level tours are available – with a focus in careers in conservational biology and wildlife-related fields. The Peregrine Fund started the Neotropical Student Education and Research program in 2005 in order to provide on-site research supervision and foster a passion for conservation and expansion of knowledge. Students will build upon current research while focusing on conservation of a specific raptor species in Neotropical countries.